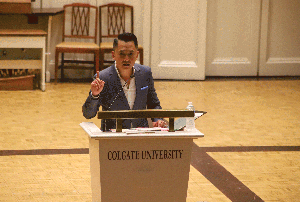 Andrew Kish of The Colgate Maroon-News reports on Viet Thanh Nguyen’s visit to Colgate University for its annual Living Writers program. Author Viet Thanh Nguyen talks to the student body and participants of the Living Writers class alike in an effort to further explore the themes of his novel. 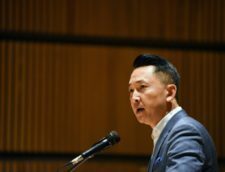 Colgate University inaugurated its annual Living Writers program on Thursday, September 13, with a visit from Pulitzer Prize- winner, Viet Thanh Nguyen. He joined over 700 students and faculty in Memorial Chapel to discuss the milieu that inspired “The Refugees,” his collection of eight short stories revolving around – you guessed it – refugees. Forced to flee from Vietnam along with his immediate family due to the war, Nguyen arrived in the United States in 1975. He was separated from his parents at the age of four, only to later be reunited in an unwelcoming, sometimes life-threatening San Jose, California. Nguyen’s presentation balanced heart rending, autobiographical vignettes with humorous anecdotes of his upbringing as a Vietnamese-American refugee. 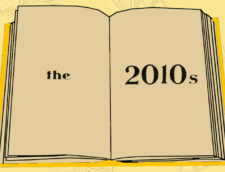 Now a professor at the University of Southern California, Nguyen draws on his background to inform books, short stories and op-ed pieces for the likes of The New York Times. Most of his work addresses the complexities of being a refugee in the current political climate and feeling never truly wanted by your origin or your new destination. Met with claps and snaps of approval from the audience, Nguyen admonished the current presidential administration for its separating families and hostile stereotyping against both refugees and immigrants. Storytelling, Nguyen posited, is the way we can administer justice and begin healing some of those tragic wrongs being committed. 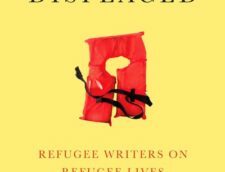 When Nguyen set out to write “The Refugees,” that is exactly what he wanted to do. He noticed masses of people that the contemporary American literary tradition excluded. “We have voices. They’re just not heard,” Nguyen said. “The Refugees” is a way to give weight to those voices spanning race, nationality, gender and sexual orientation while examining the complex experiences of refugees, Nguyen said. The theme of multiplicity surfaced throughout Nguyen’s speech as he urged the crowd to search for more than a singular story to define the refugee experience. Storytellers hold an immense power, he said, and the stories everyday people tell can change how we empathize with fellow human beings. “I think his emphasis on the fact that we need to embrace our own role in forming the refugee story is crucial in understanding how we create stereotypes and how we can begin to break them down,” said sophomore Natalie Cestone. Nguyen’s powerful start promises a great lineup of writers to come during this year’s Living Writers Series. “I hope people read deeply, with real pleasure, and with a sense of openness to the possibility of being changed by what they read,” Professor of English and Living Writers coordinator Jennifer Brice said. The next Living Writers speaker, Patti Smith, will come to Colgate on September 20.